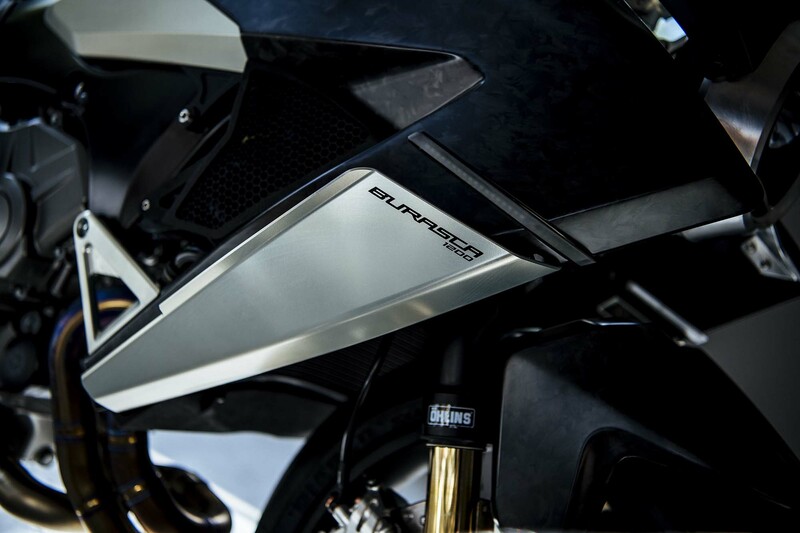 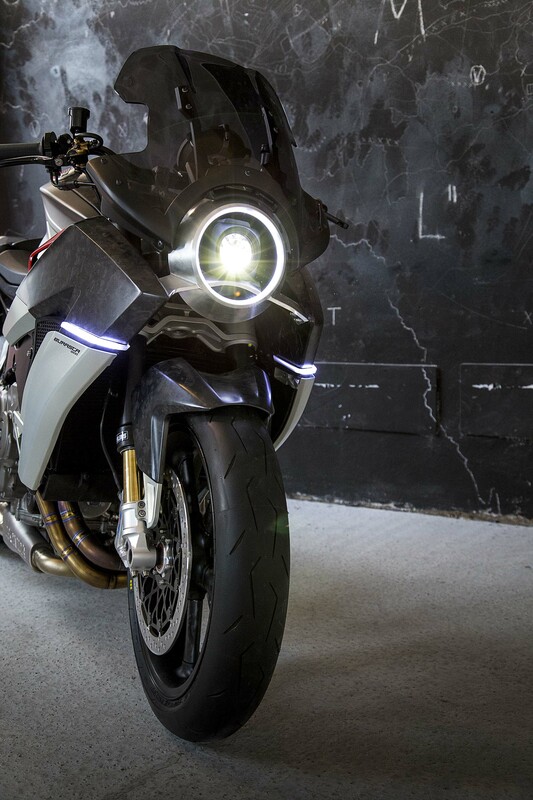 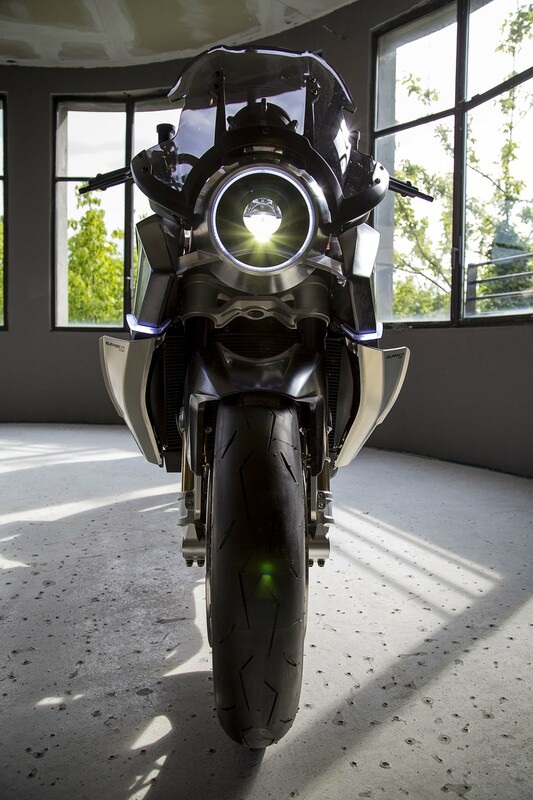 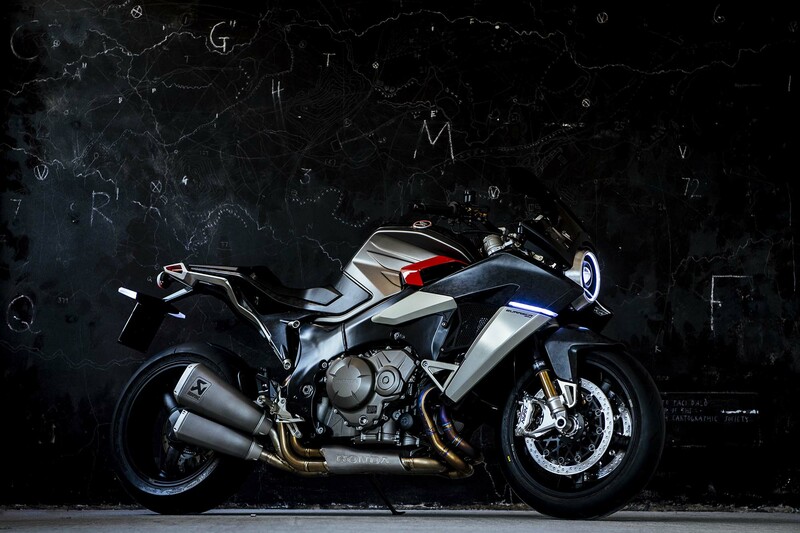 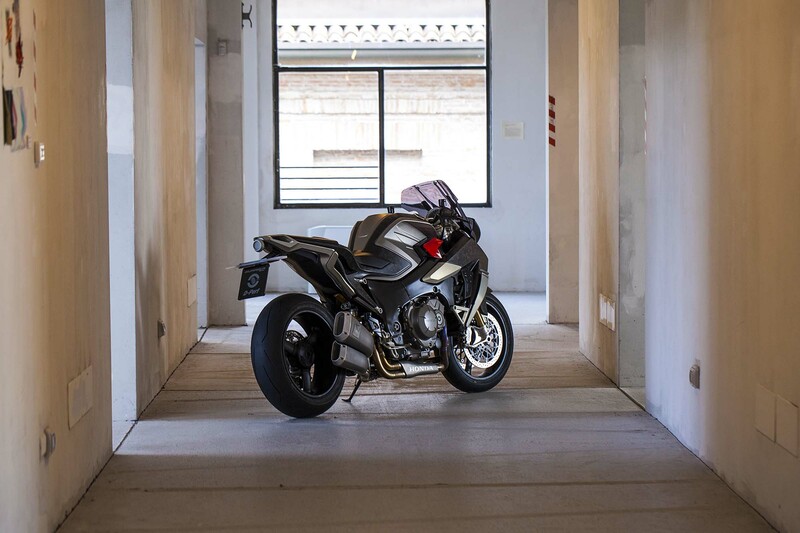 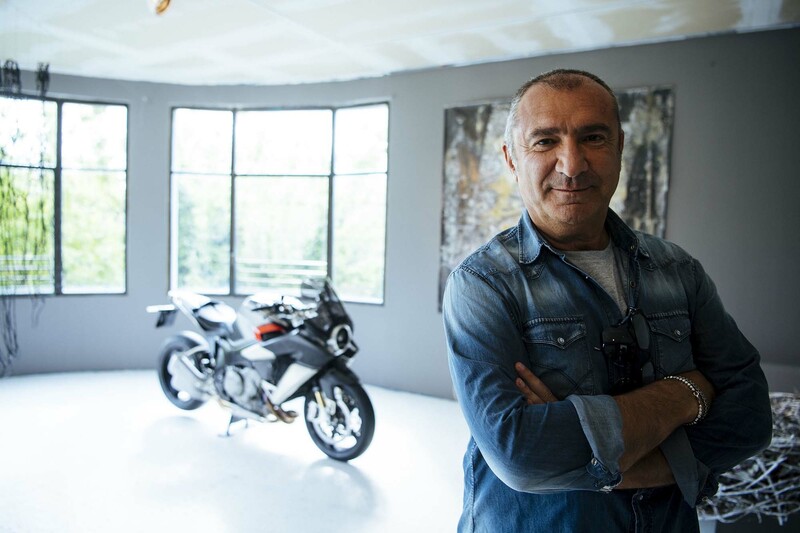 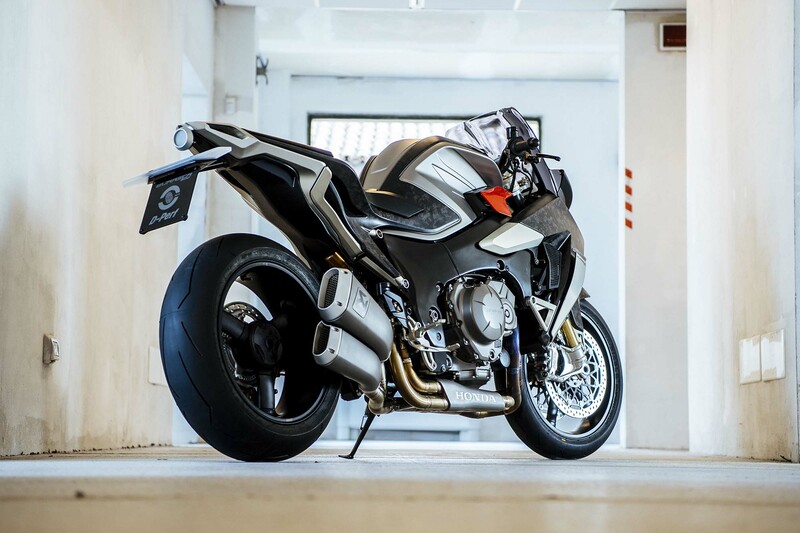 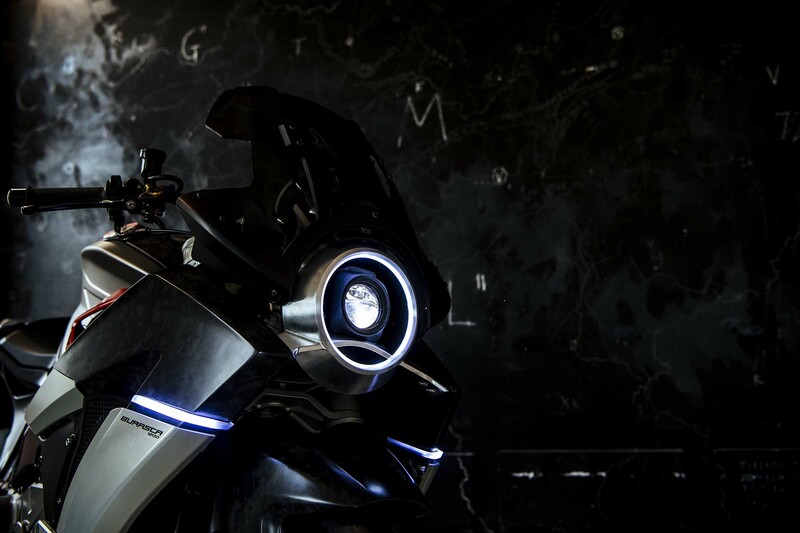 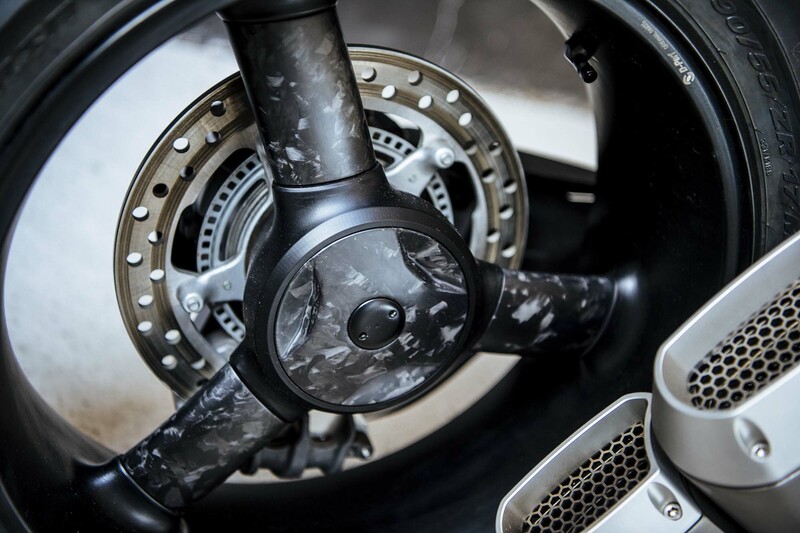 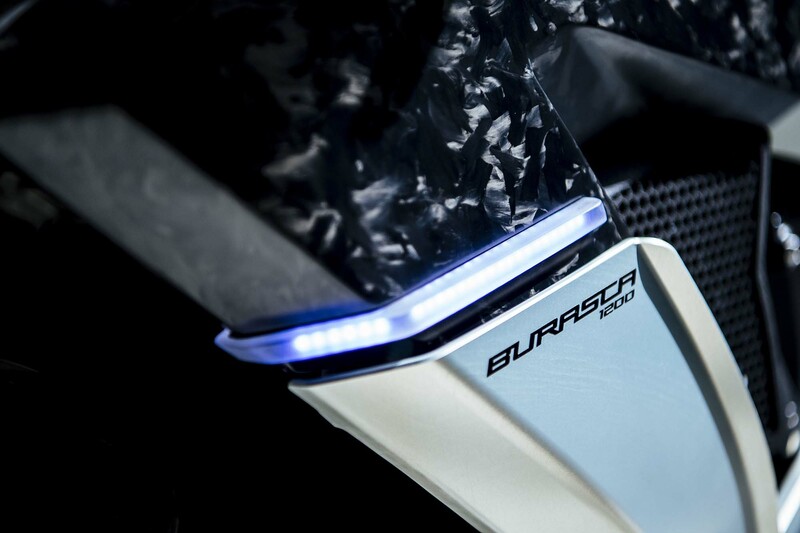 For those that don’t speak with a Romagnolo dialect, “burasca” means “storm” in Emiliano-Romagnolo, which might be an apt name for this highly charged makeover on an otherwise sleepy motorcycle. 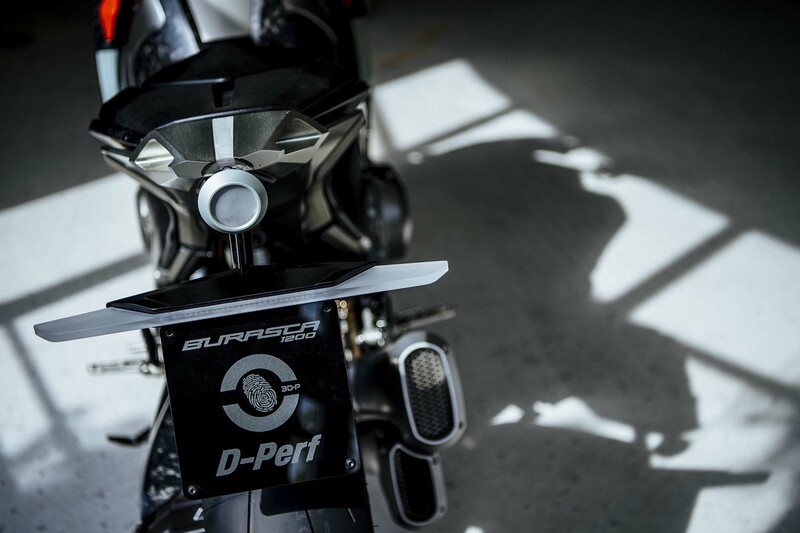 Drudi and his team have shaved off 60 lbs from the VFR1200’s mass, for a curb weight of 530 lbs. 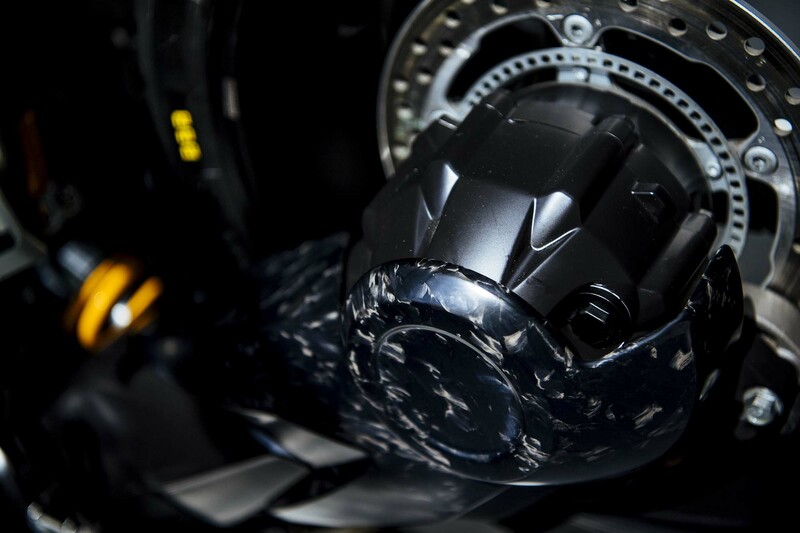 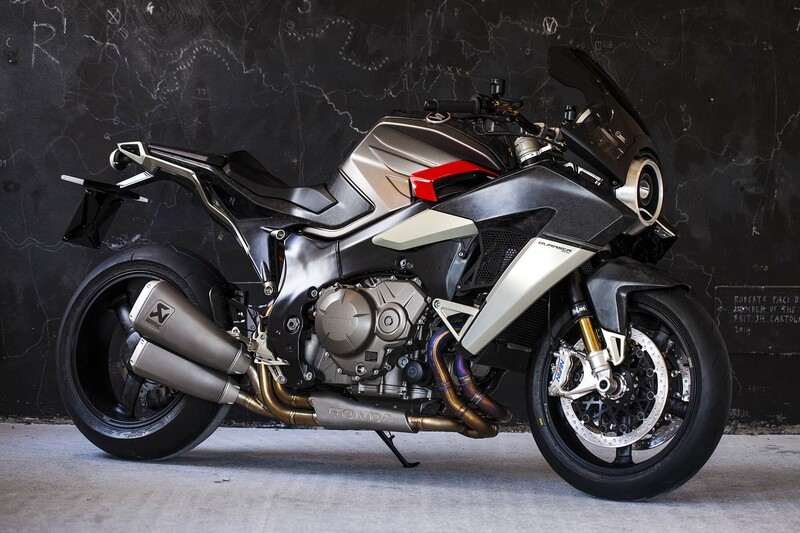 In the process, they have added Öhlins NIX 30 forks, Öhlins TTX 36 GP rear shock, Nissin brakes, and a custom Akrapovi? 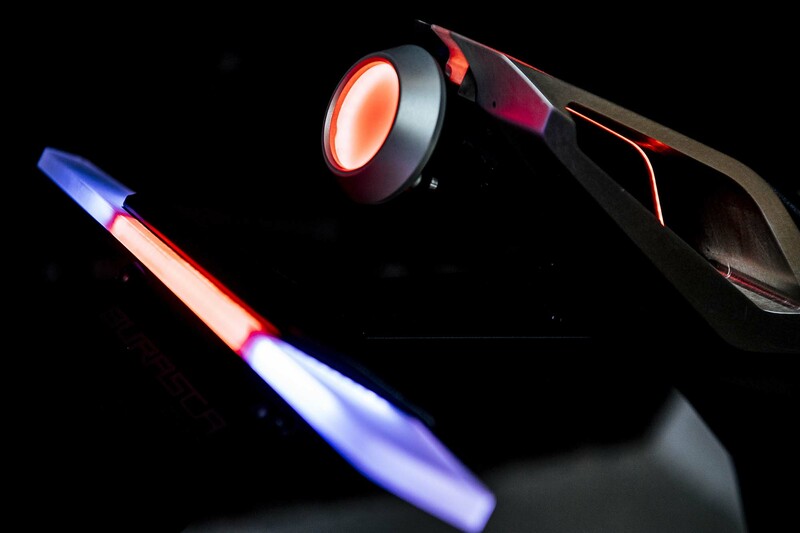 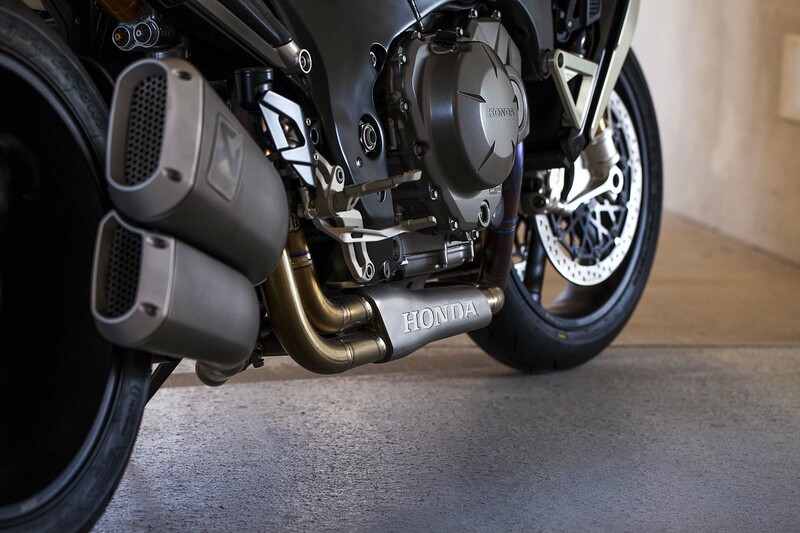 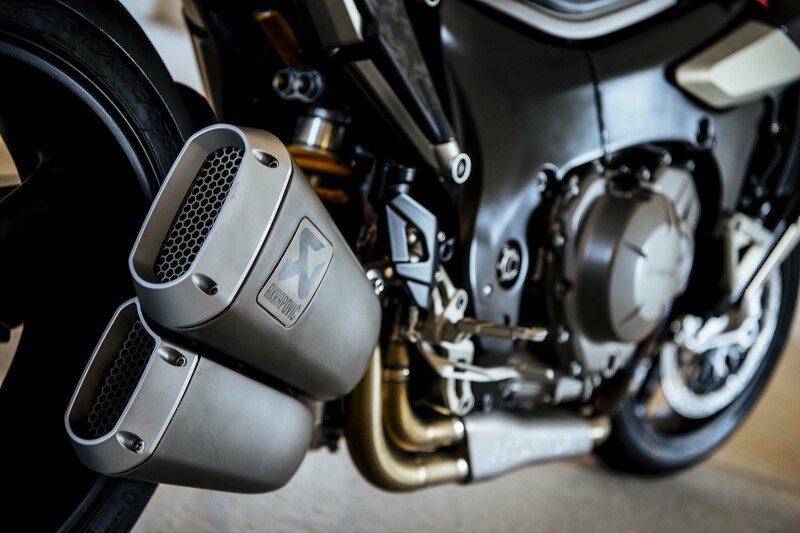 exhaust (our favorite part) to make things a bit more peppy. 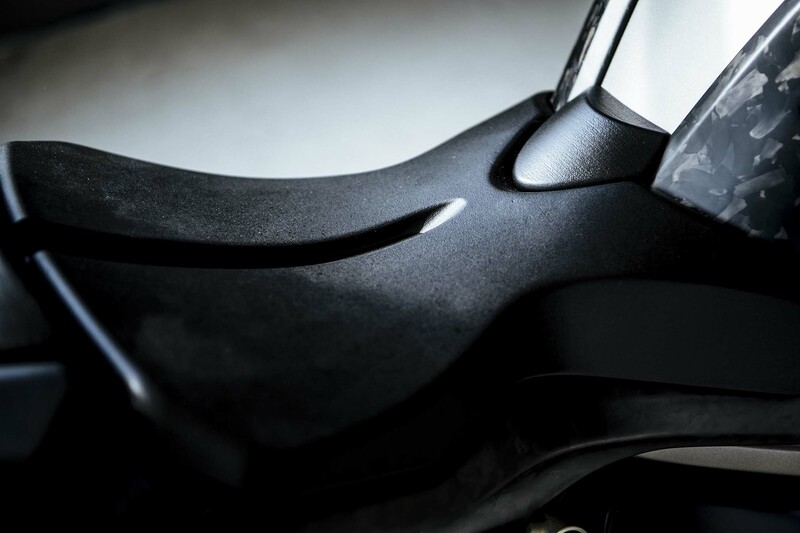 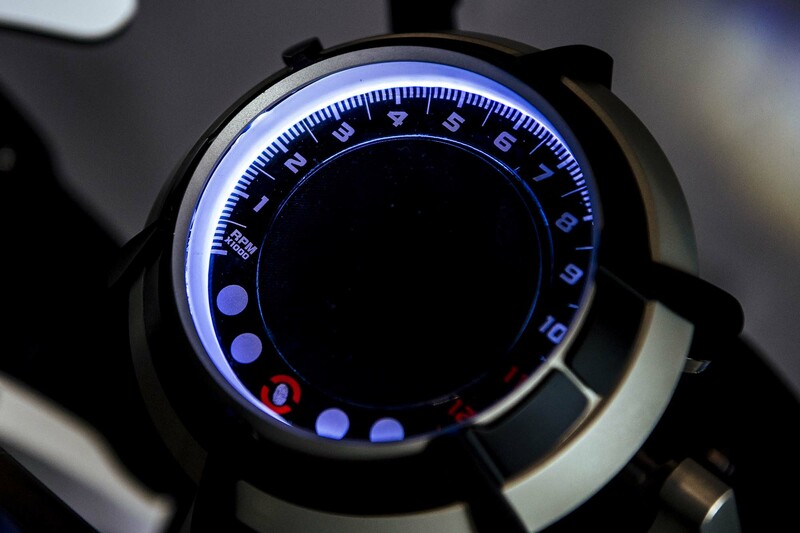 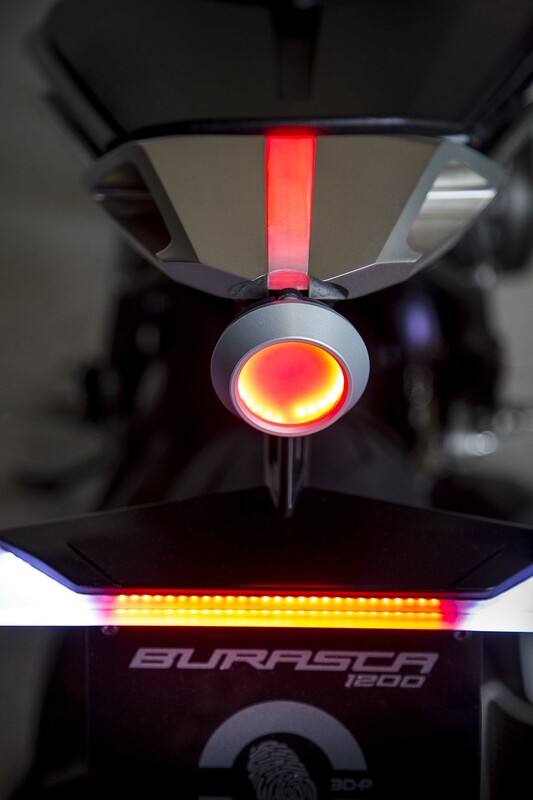 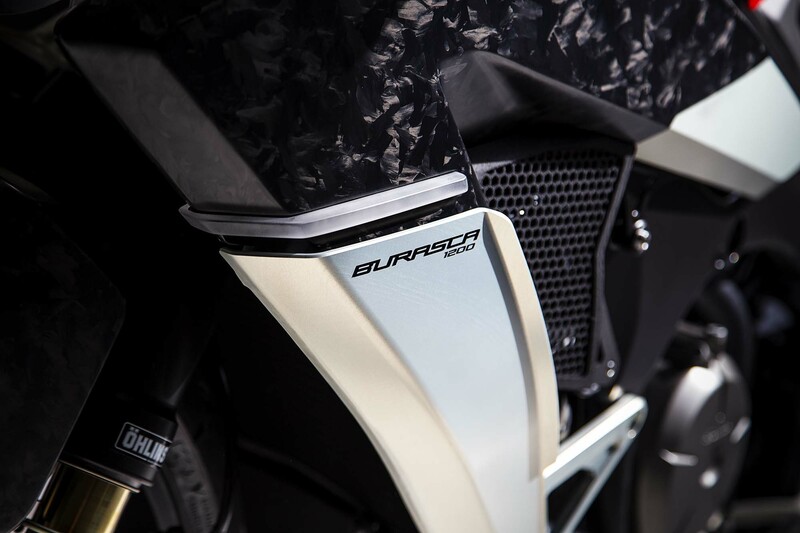 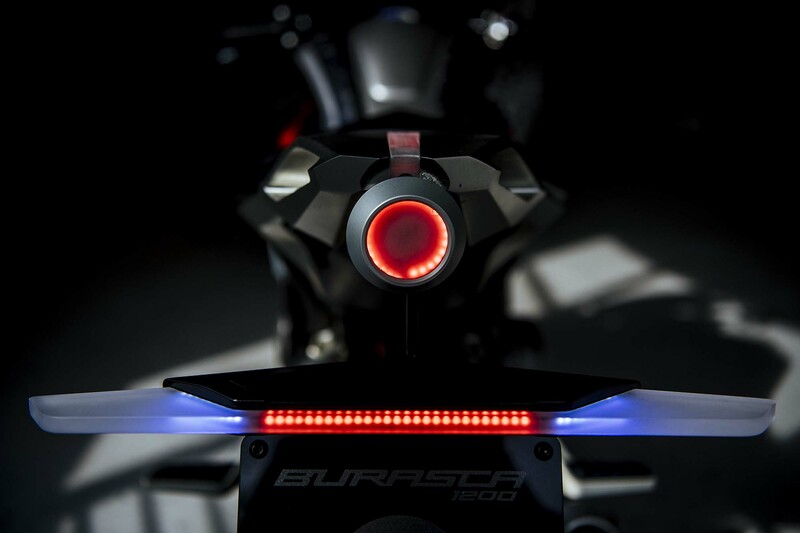 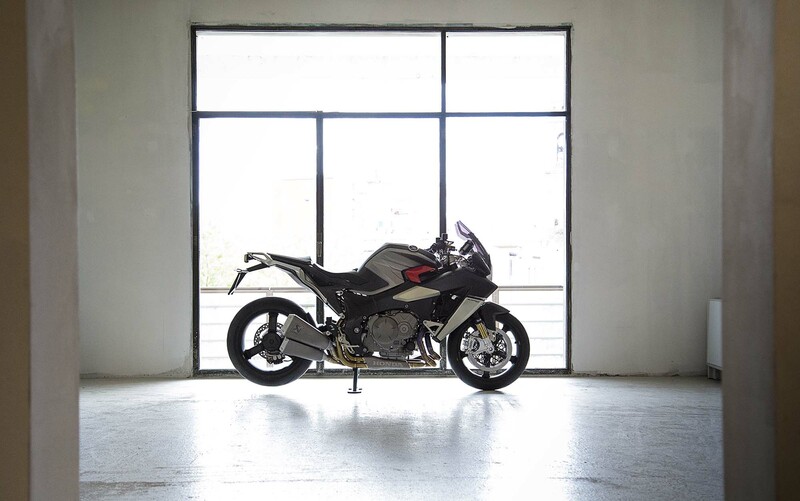 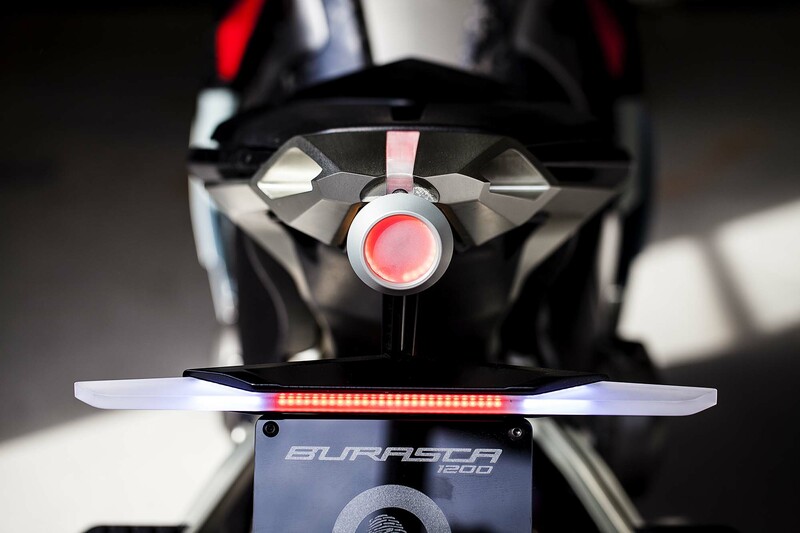 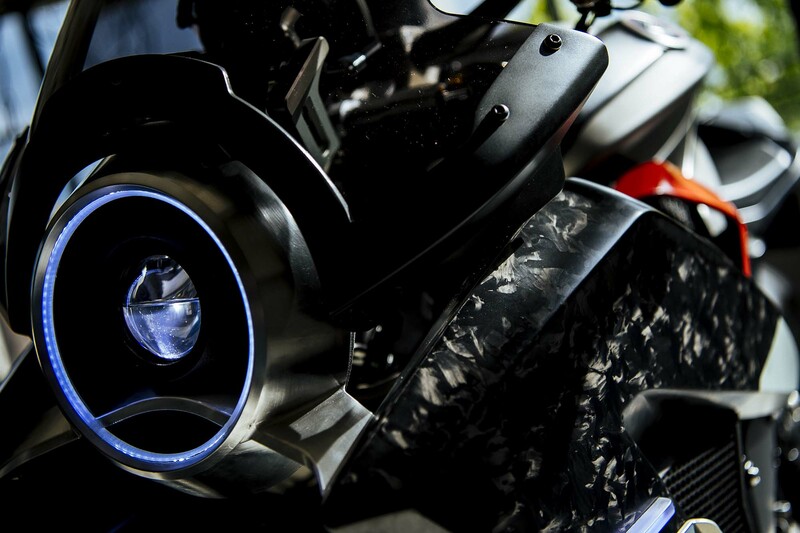 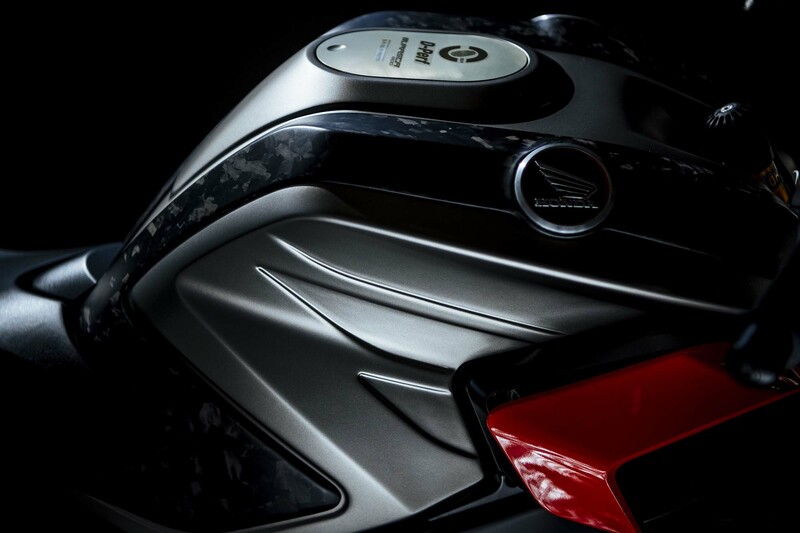 Of course, the real treat with the Burasca 1200 is its avant garde design, with its subtle details. 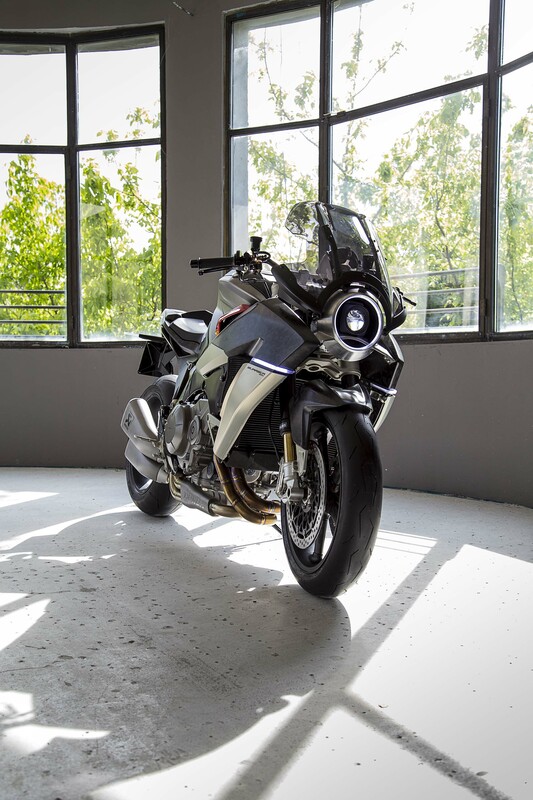 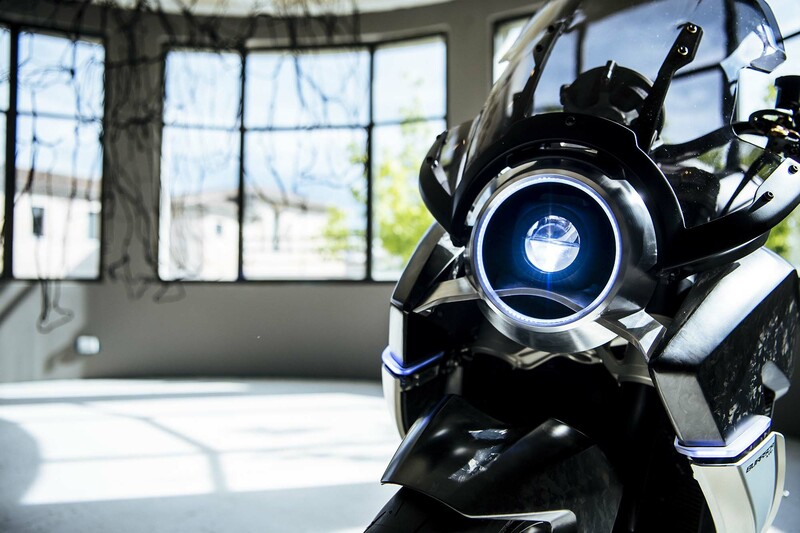 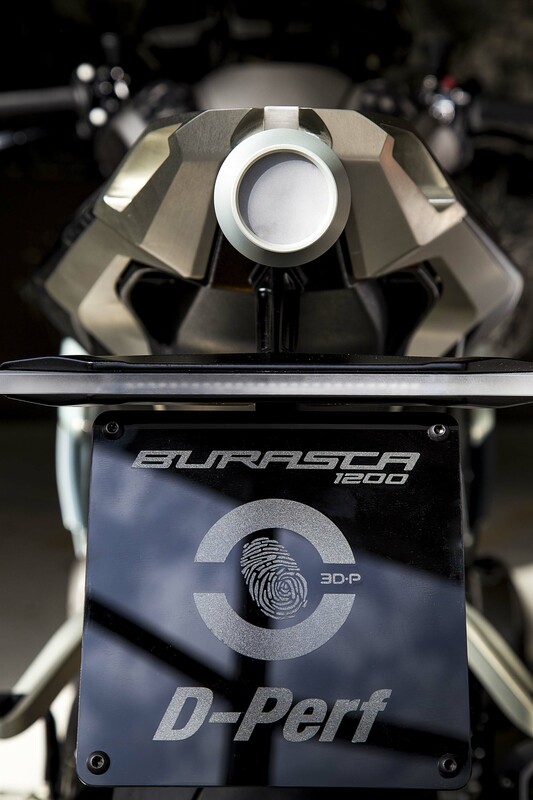 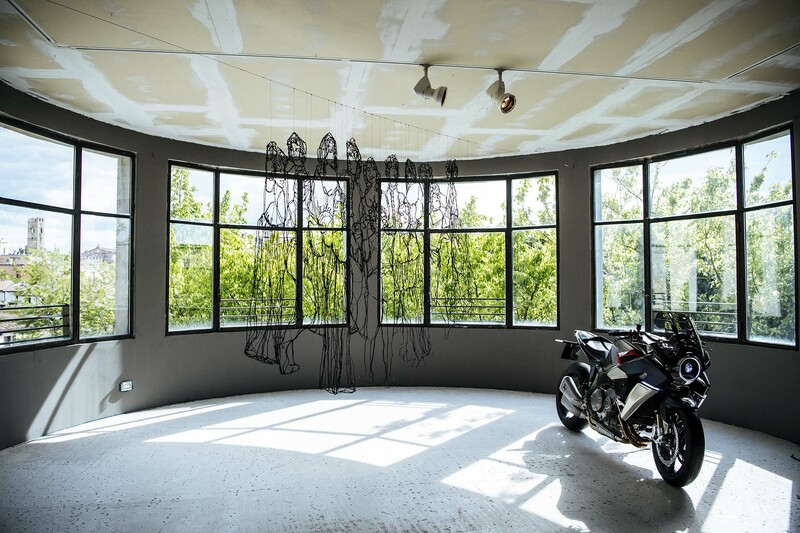 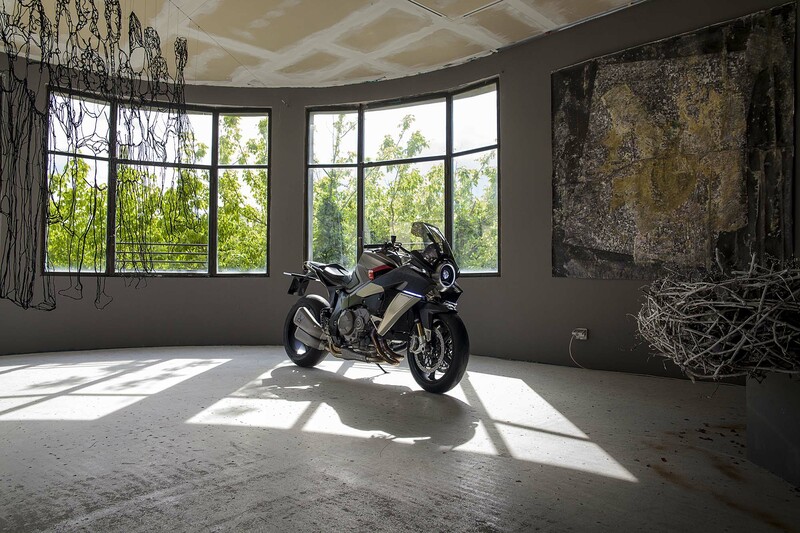 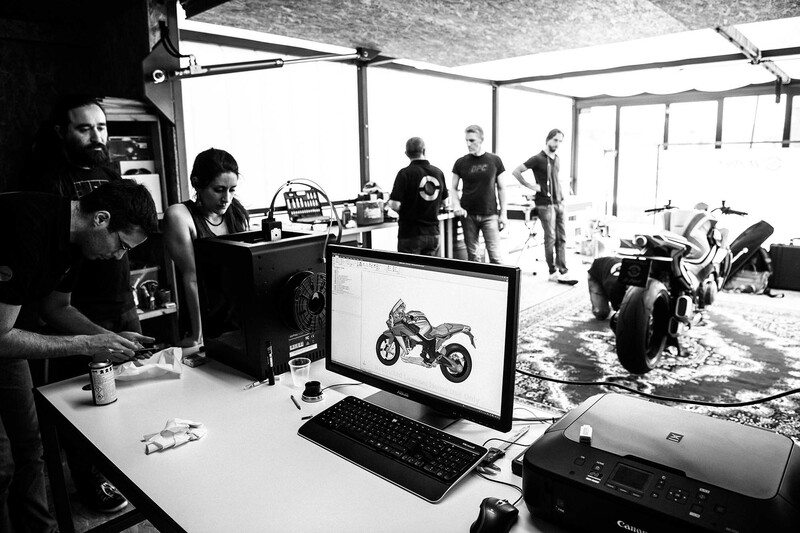 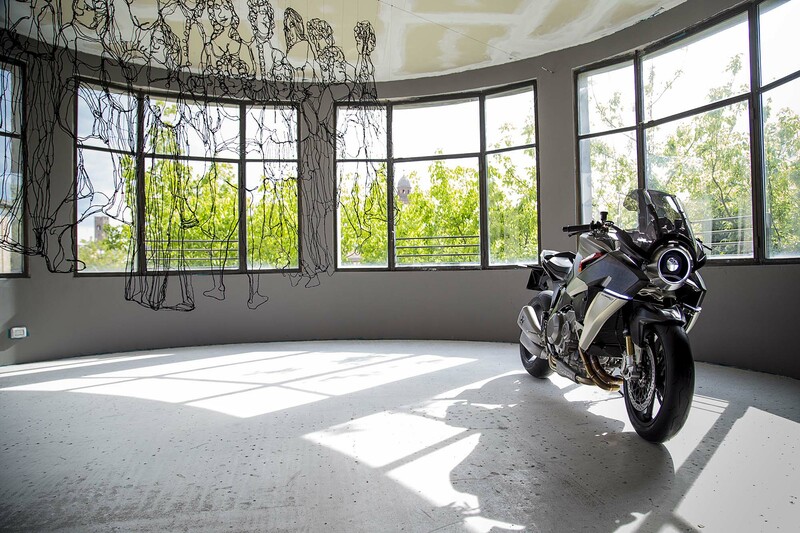 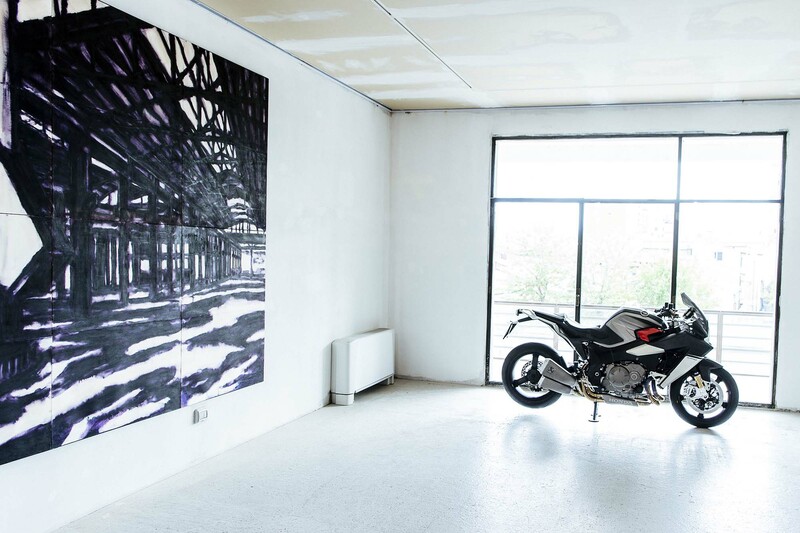 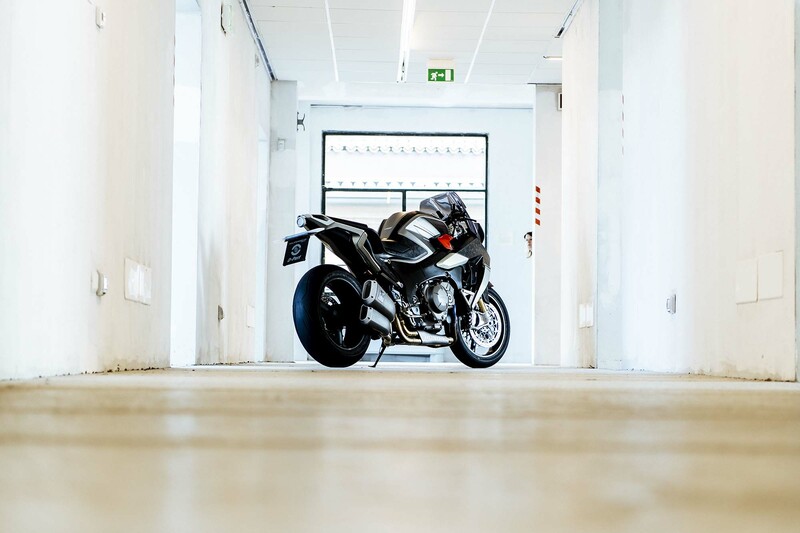 Drudi and his team are trying to move from two-dimensional designs to three-dimensional concepts, and for audition into this space, the Burasca 1200 certainly impresses. 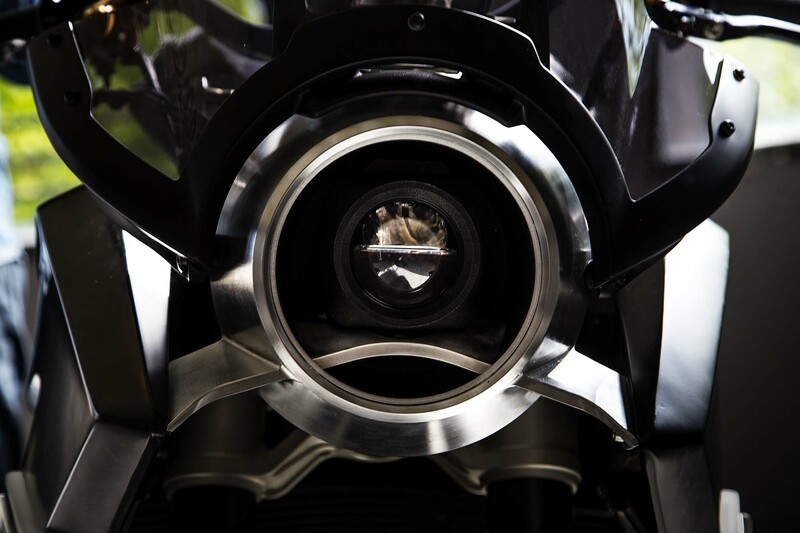 We will let you chew on the hi-res photos below, there are a lot of interesting details to see. 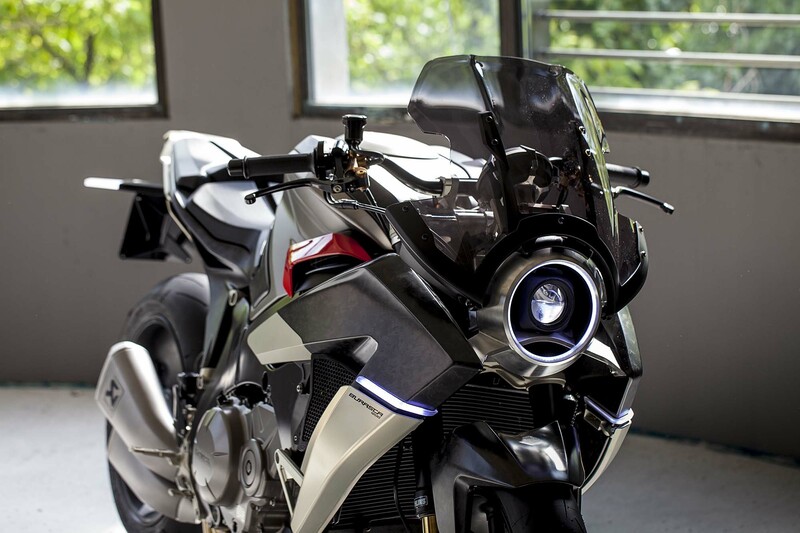 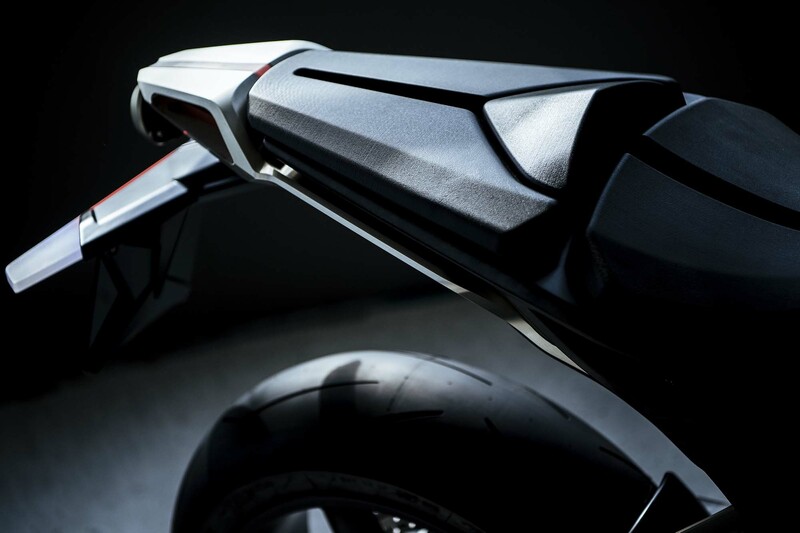 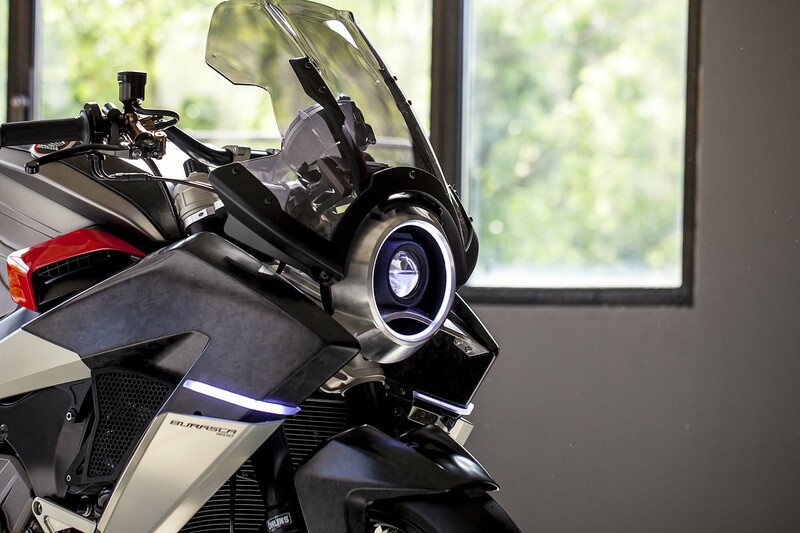 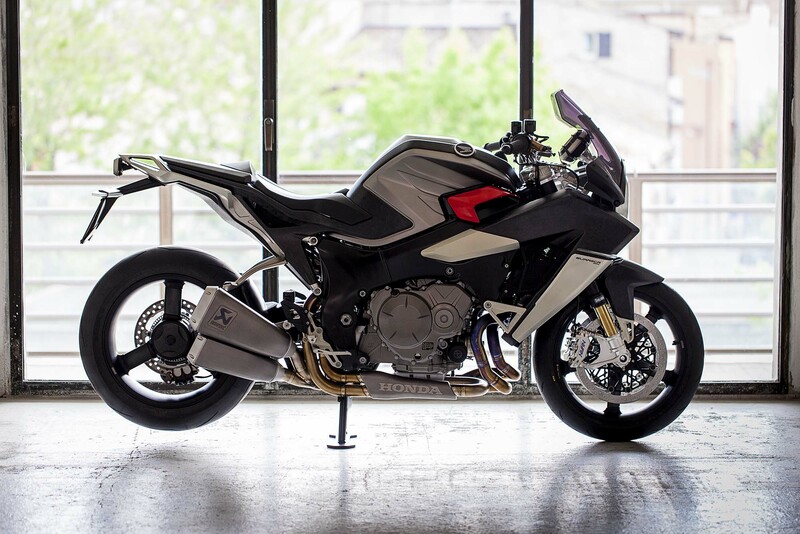 Is this the sport bike that Honda should have built?